Tyler Junior College is offering online and walk-in registration for its upcoming winter and spring terms. Online registration is available at www.tjc.edu/register. Walk-in advising and registration will be held 9 a.m.-5 p.m. Tuesday and Wednesday, Nov. 27 and 28, and noon-8 p.m. Thursday, Nov. 29, in the Apache Rooms in Rogers Student Center, on the TJC main campus. Winter Term is a three-week, online-only session set Dec. 17-Jan. 8. For a list of available courses, go to www.tjc.edu/winter. Spring classes begin Monday, Jan. 14, 2019. TJC offers more than 130 degree and certificate programs, including a Bachelor of Science degree in dental hygiene and a new Bachelor of Applied Technology in healthcare technology and medical systems, as well as extensive training and technical programs. 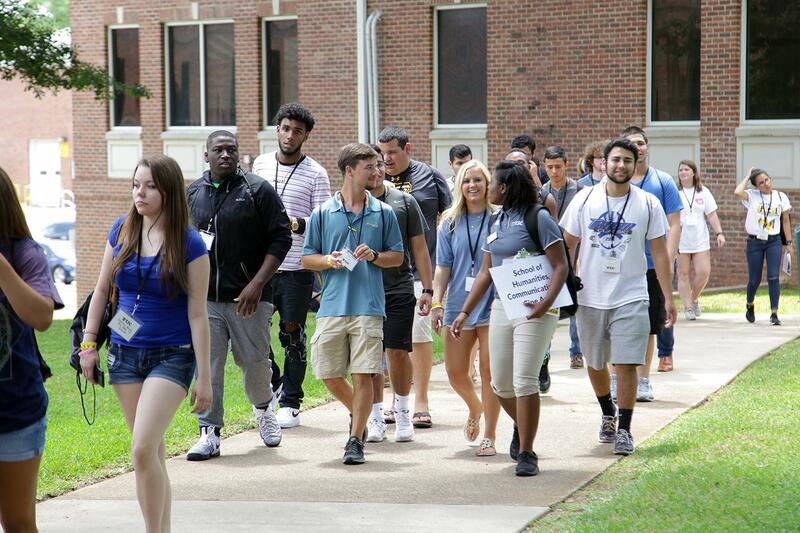 In addition to academics, TJC has nationally ranked athletics and performing arts programs, all at about one-third of the cost of a four-year institution. Fast Track to TJC will be held on Saturday, Dec. 1, in Rogers Student Center. Fast Track is a one-stop shop in which students can take care of TSI testing, speak with an advisor, register for classes and leave with their schedule in hand. To sign up, go to www.tjc.edu/fasttrack. TJC is offering free information sessions for two new programs opening in January 2019: an Associate of Applied Science in culinary arts and a Bachelor of Applied Technology in healthcare technology and medical systems. The culinary arts program will offer an associate degree and two certificates for students seeking careers in the food service industry. A free information session will be held from 10 to 11 a.m. Saturday, Dec. 1, in Room T205 of the Pirtle Technology Building, located at 1110 South Mahon on the TJC main campus. Admission is free, but registration is required since the session is limited to 20 persons each. To register, contact Lauren Smith at lsmi4@tjc.edu or call 903-510-3024. For more information, go to www.tjc.edu/culinary. TJC’s Bachelor of Applied Technology in healthcare technology and medical systems degree program provides initial preparation for careers in health services administration. The program is designed for working professionals who wish to advance into a higher level of management in the healthcare industry. • Thursday, Dec. 6: Noon-1 p.m.
• Saturday, Dec. 8: 10-11 a.m.